These great looking 11 oz. 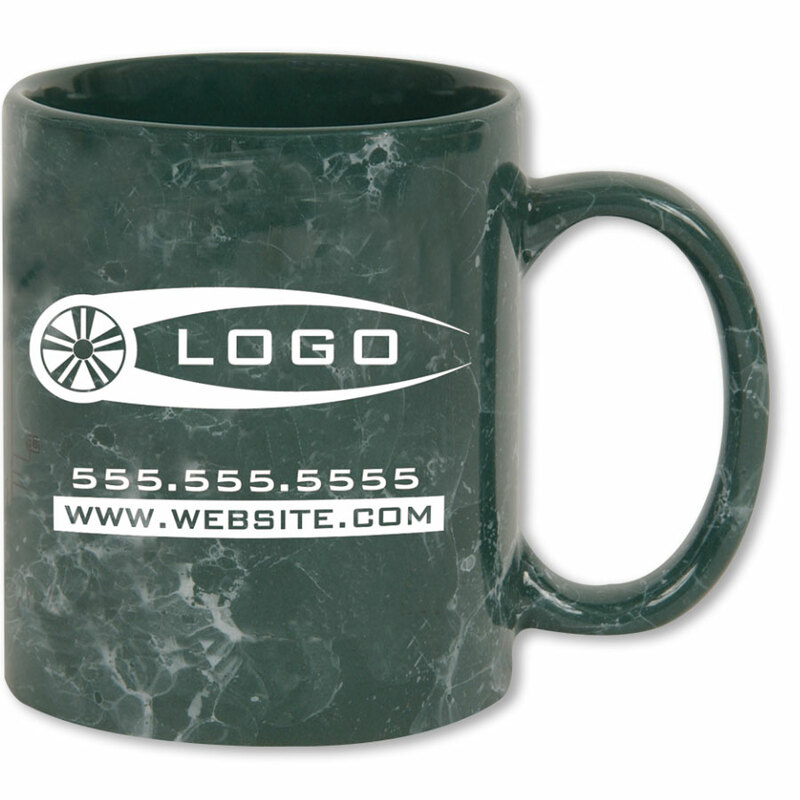 coffee mugs are always a hit with customers and employees. They make great appreciation gifts and keep your company name "in hand." Choose from any of the stock images in the gallery to customize your coffee mugs or use your own logo! Imprint on one side, two sides or wrap-around. Colors: Gray, Dark Blue, Black, Maroon or Green Marble, $2.69 each; White Marble, $2.49 each. Minimum Qty: 72. Extra Charges: Setup charge of $50.00 per color; Run Charge $0.35 ea. per additional color. Call for pricing on custom orders 1-800-367-6575.